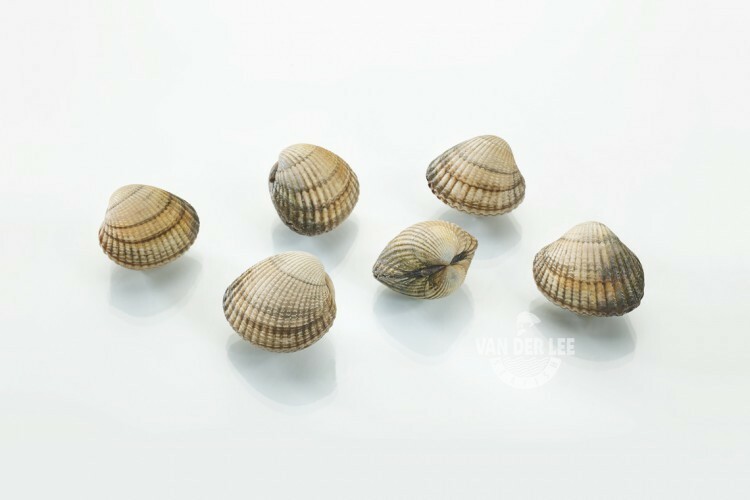 We have cockles available which are caught in the North Sea. The cockle is also known as the common cockle and by its Latin name, which is Cerastoderma edule. The cockle used to be caught in the Wadden Sea by fishing vessels. However, since 2005 the mollusc has to be caught with landing nets because some fisheries restrictions have been introduced due to environmental concerns. As a supplier we also catch our cockles with landing nets. After the cockles are caught we wash them with salt water to remove the sand. Next we bring them to our company where we make them ready to be sold. The cockle can be found around five to twenty meters deep in the ground. You can easily recognize the mollusc by its thick and ridged shell. The flesh of the cockle is lean and very tasty. One hundred grams of the flesh contains around 64 calories. Furthermore, the cockle also contains a lot of proteins and B vitamins. As a supplier we export our cockles to a lot of different countries. However, the cockle is especially popular in the south of Europe. In Italy and Spain the cockles are often used in tapas and paellas. But you can also put cockles in salads or a soup. When you are going to cook cockles you have to pay attention to their shells, as they are no longer good when they stay closed. On the other hand, shells which are already open before cooking can be good, provided that they close when you give them a tap.